LCS-61: Returning from the ROK Marine observation post to Cherry Hill. In the upper left you see some radio frequencies on the canopy (bubble) of the chopper. You are looking at the part of Cherry Hill occupied by the Headquarters and Headquarters Battery and Headquarters and Service Battery of the 3rd BN, 18th Artillery. 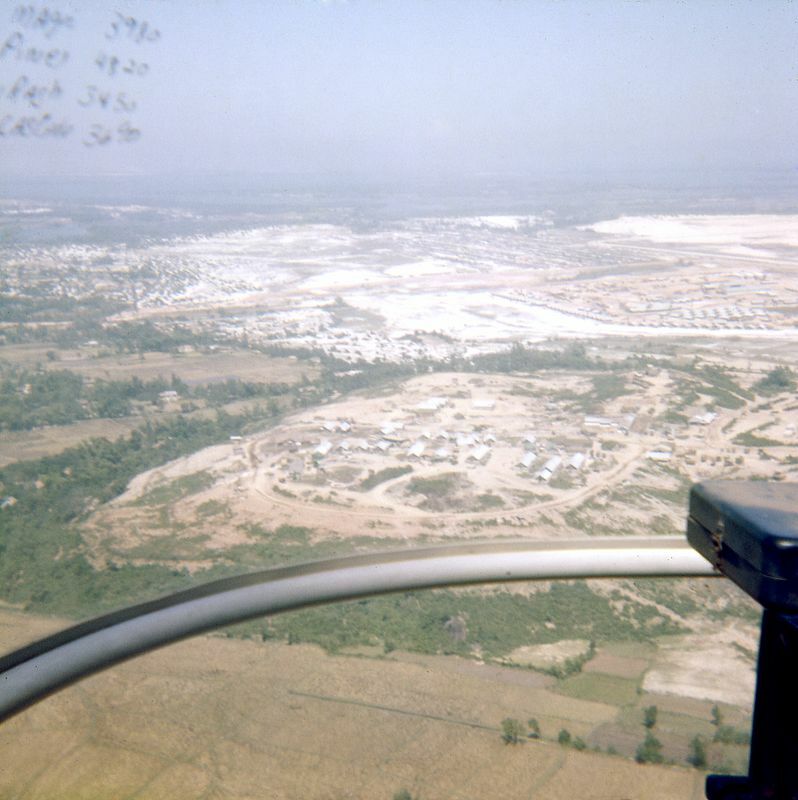 To the upper right is the Chu Lai base, home of the Americal Division.